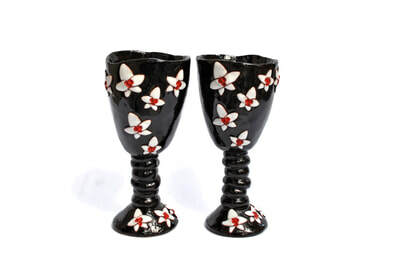 Imperfect handsculpted small to medium sized wine glasses in relief orchids pattern. 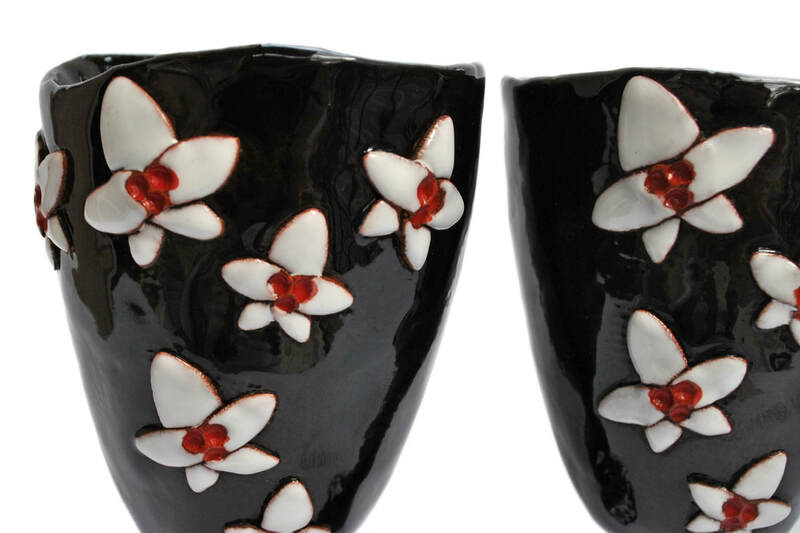 Each orchid is carefully attached to the base and glazed in glossy contrasting colours. Black glaze is food safe. 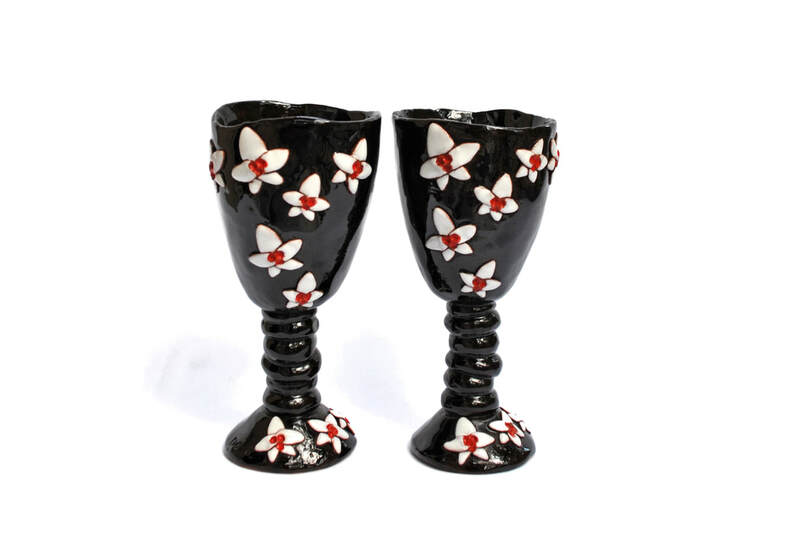 Each wine glass stands approximately 15-16 cm (6-6.3 in) tall.